For those of us who have been through chemotherapy, we know about the hair loss that comes with it. There are many options for dressing our bald heads – chemo hats, turbans, scarves and wigs. When you look around, suddenly you now see more people wearing these chemo hats than you could ever have imagined. Did you also know that thinning hair happens to a lot of women as they age? Many of these women wear wigs. Our society is not accustomed to women who are bald or have thin hair. For men, it seems to be okay, but not for women. Alopecia is another disease or condition that results in thinning or baldness. Wigs come to the rescue as these women are not into wearing chemo head wear that would identify them as having cancer. Luckily there are wonderful options now that years ago were either be too expensive or just didn’t look good. I even remember wearing wigs to just have a different fashion look. It had nothing to do with cancer, thinning hair or baldness – it was fun – a new look. So, join the fun crowd and find a wig. You can sport a whole new personality with a wig. Who knows – people may not even recognize you. I know from experience how much hair makes a difference in a person’s look. When cancer patient’s hair grows back, they often have to re-introduce themselves to me as I’m accustomed to seeing them with either a chemo hat on or no hair. I sometimes don’t immediately recognize them with hair. We both then have a good laugh. How Do You Wear Bald – for Women! Mar. 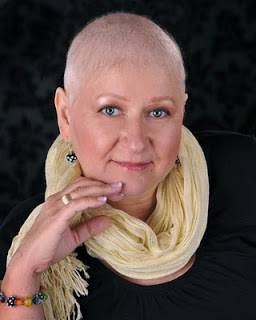 21 Cancer Help, Chemo Hats, Scarves & Wigs Comments Off on How Do You Wear Bald – for Women! This is not often a situation that comes up for women. Men are more prone to baldness and seem to be more comfortable with the situation. Women, on the other hand, have a difficult time dealing with baldness. Chemotheraphy can cause baldness – and does most often. Nowadays, there are some wonderful choices that are both practical and stylish. 1. 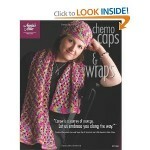 Chemo Hats – these are designed to come low enough on the natural hairline to disguise the lack of hair. Some come with hair pieces – i.e. side flips or bangs. Depending on the weather, you can find attractive chemo hats to either keep you warm or cool – and protect against sunburn. 2. Scarves – these can be worn in many chic and adaptable ways. You can use your own scarves or buy a new wardrobe of scarves. Make sure the fabric will hold the tie in place, be soft, not scratchy, and the size large enough to make the tie. 3. 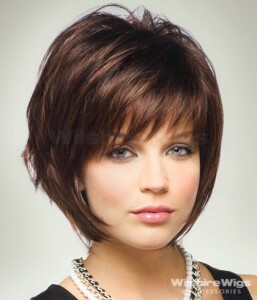 Wigs – some opt for real hair wigs while some opt for synthetic. Your choice. Obviously cost will factor in your decision. There are wonderful breathable wigs now which are much more comfortable to wear. It’s a good idea to find a good color and style match before your lose your hair, unless you want to change up your look and get something totally different. That can be fun! Lots of choices. You might as well enjoy the journey and find something to tickle your fancy, make you feel and look great to boost your spirits. What About a Wig During Chemotherapy? Losing one’s hair is one of the side effects of chemotherapy. Where you live – warm or cold climate – factors into your decision of what to wear on your head. Could be protection from the sun or warmth for a bald head. 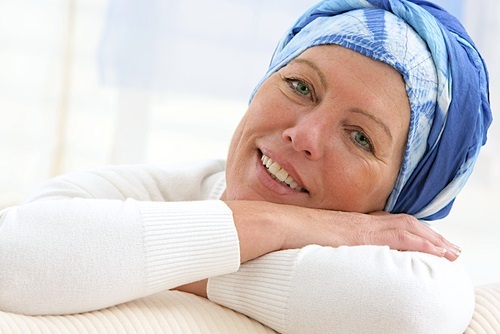 Many women choose chemo hats and scarves as an everyday solution. However, chemo hats and scarves definitely send the message ‘I am going through cancer’. This brings up the issue of wigs for cancer patients. Wilshire Wigs have an excellent selection for special occasions, those times when you don’t want to broadcast your health situation, and when you need that boost of self-confidence to carry the day. There are many beautiful wigs available these days at different price points. They can be synthetic or real hair or a mix of both. Some women opt for a totally different look – a look they’ve always wanted to have but it didn’t suit their hair. Other women like to match their regular style as close as possible. You can do either. Make sure that the wig is comfortable. The inside should be smooth and not scratchy as the underside of the wig will be directly on top of your skin – no protection. If you live in a warmer climate, there are wigs that are also breathable making them cooler to wear. If you haven’t lost your hair just yet, now is a good time to match the color. Looking good while going through treatment helps keep your spirits up. This is for you. When you look in the mirror, it will reflect back the person you know yourself to be. Give yourself a hug and boost even on the days when it is difficult. Every little action counts. 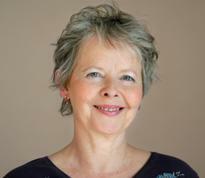 Hair loss is one of the side effects of chemotherapy when undergoing cancer treatment. When the men go bald they either go around bald or wear a cap for sun protection and/or warmth. Women, on the other hand, are not often seen bald. The issue then becomes what to wear. Some choose wigs which personally I found rather scratchy and uncomfortable to wear all the time. That was a while ago (1990) so I know that wigs have come a long way since then. The other option is hats, turbans, scarves, and caps with or without hair pieces. But for someone like myself who is handy with crafts, I chose to make my own chemo hat – and another for my cancer buddy. There are wonderful patterns out there for chemo hats. You can make them out of cotton, soft wool, bamboo – lots of choice. And, if you are a friend of someone with cancer and kinow how to either knit or crochet, I just bet they would love a handmade chemo hat. What a lovely gift of caring.